SimpleLaw is a collaboration platform for Lawyers, Clients, Paralegals, and Law firm back-offices, it manage cases and all documentation and provides simple lead conversion mechanics to help grow your practice. "Terrific Case Management Software - Couldn't Practice Law Without It"
The functionality is outstanding - SimpleLaw keeps me organized, accessible to clients, and in control of all my cases 100% of the time. The ease and transparency SimpleLaw creates helps foster the attorney-client relationship and lets the client know their case is being handled with the utmost care. SimpleLaw's innovative co-counsel, referral, and collaboration features are also very unique, providing dynamic solutions for attorneys with high volume caseloads. Finally, I love the hassle-free billing solutions SimpleLaw provides. I have no complaints. SimpleLaw is case management software at its finest. If you are looking for case management software to streamline your legal practice, look no further. SimpleLaw is simply the right solution. The benefits are endless. Often, clients feels like they can't reach their attorneys, who are busy with heavy case loads and often times less accessible than desired. SImpleLaw solves that. SimpleLaw allows clients to login, access their case, view documentation, make payments, and receive updates. It streamlines the entire process - from case creation to ultimate resolution. I couldn't be happier with it. What Legal Case Management solution do you use? Clio provides a web-based practice management, time & billing and client collaboration platform for small to mid-sized law firms. MyCase is a web-based legal practice management software for the modern law firm. Software for small law firms. 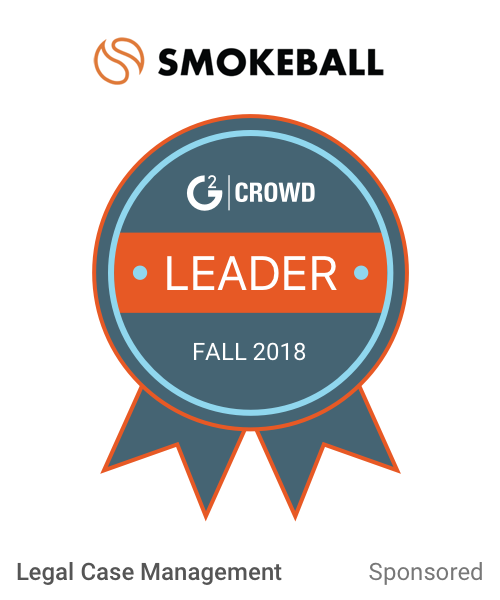 When it's time to get serious about your law business, it's time for Smokeball. Time Matters® leverages flexible practice management software to foster collaboration on matters, streamline internal processes and fuel growth through increased billable hours and profitability. CaseMap® case analysis software helps litigation teams bring together the relevant facts, documents, persons, evidence and issues of each case-as well as legal and investigative research-into a centralized repository for improved case assessment. AbacusLaw is a turn-key, fully integrated Case Management, Time, Billing and Accounting Solution for small, medium and large sized firms in all practice areas and jurisdictions. 3E enables you to work more productively with intuitive client and matter management capabilities that are available from the familiar Microsoft Office applications you use all day long. * We monitor all SimpleLaw reviews to prevent fraudulent reviews and keep review quality high. We do not post reviews by company employees or direct competitors. Validated reviews require the user to submit a screenshot of the product containing their user ID, in order to verify a user is an actual user of the product. Hi there! Are you looking to implement a solution like SimpleLaw?